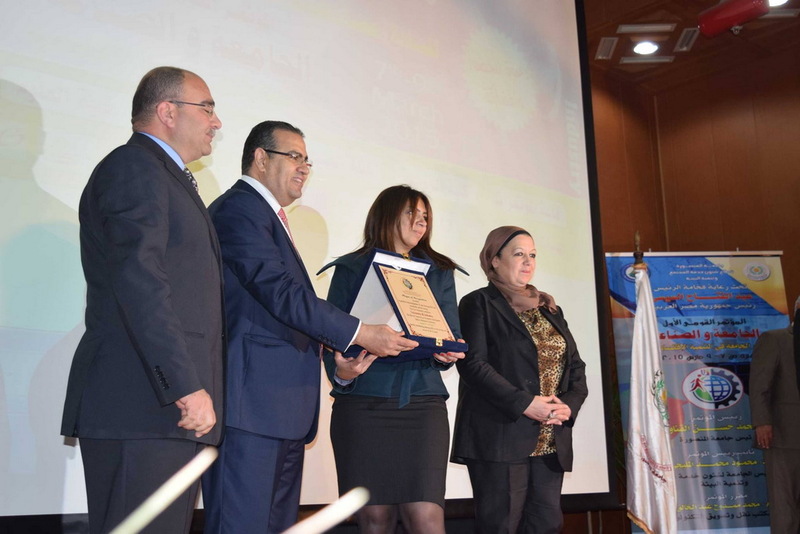 embraces scientists, researchers, and men of industry to help develop the Egyptian Industry, the First National Conference on University and Industry (7-9 March, 2015) was launched. 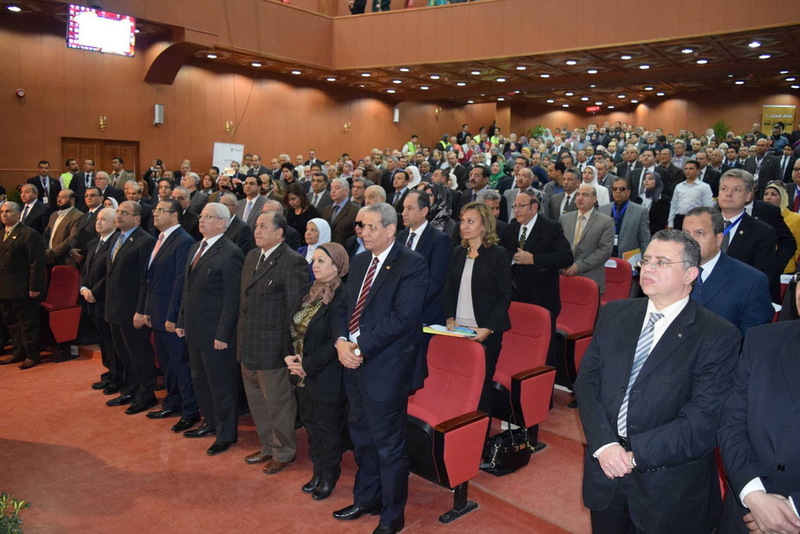 The conference opening was attended by the Minister of Higher Education, the University President, the University Vice-Presidents, and heads of the conference sponsoring and organizing institutions. The University Vice- President welcomed the guests and emphasized the idea that the conference aims at getting the maximum benefits from the technologies of research, ideas, experiments, and inventions, in addition to finding new ways for their application to industry and trade. The recommendations of the conference will be channeled to the International Economic Conference in Sharm-El-Sheikh as a reflection of the opinions of Egyptian universities about the future of Egypt. 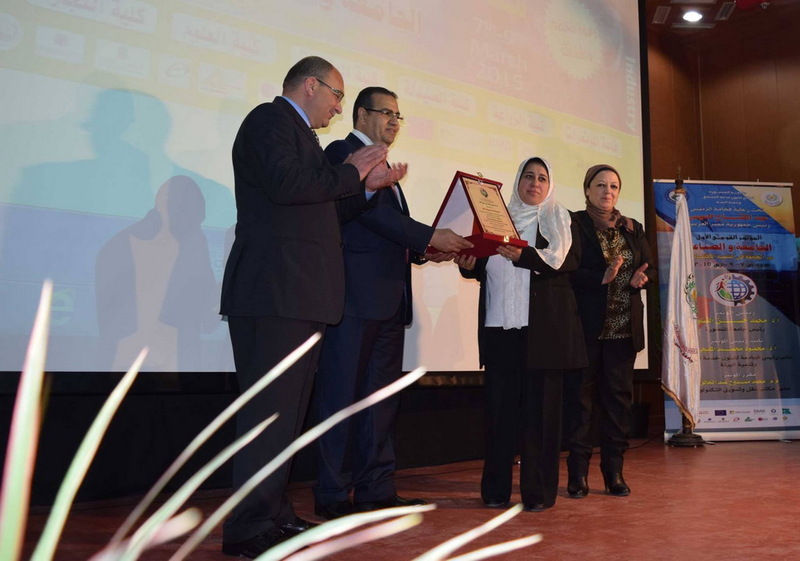 The University President pointed out that the conference is based on the mutual experience between the University and the industrial sector in the fields of research, creations, training and consultations through a research- inducing environment that helps develop the national economy, and that it was out of the principle of nationalism that the university was keen on the participation of all categories of students, graduates, researchers in the conference for free in an attempt to support active participation, ideas exchange, and research marketing. 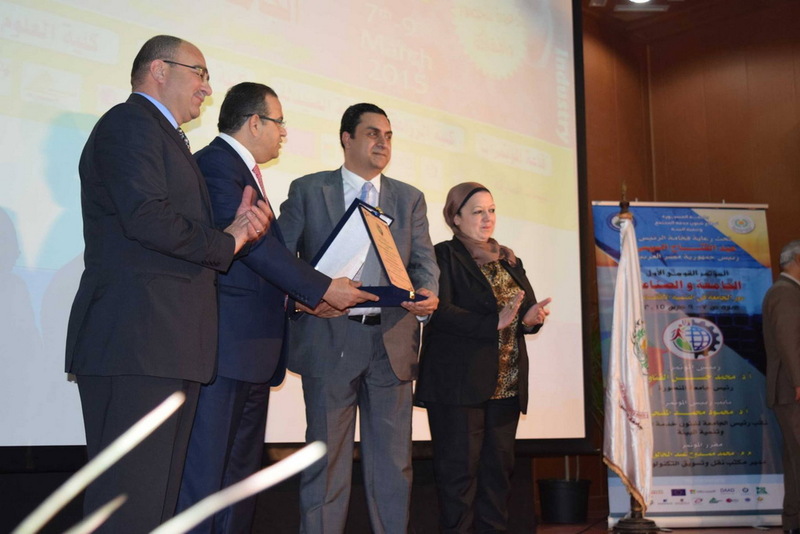 The Minister of Higher Education, in his capacity and on behalf of the Prime Minister, welcomed the conference guests. He explained that the conference was under preparation for more than a year and its importance stems from the idea of strengthening the relation between the university and industry which is a major concern of the government. 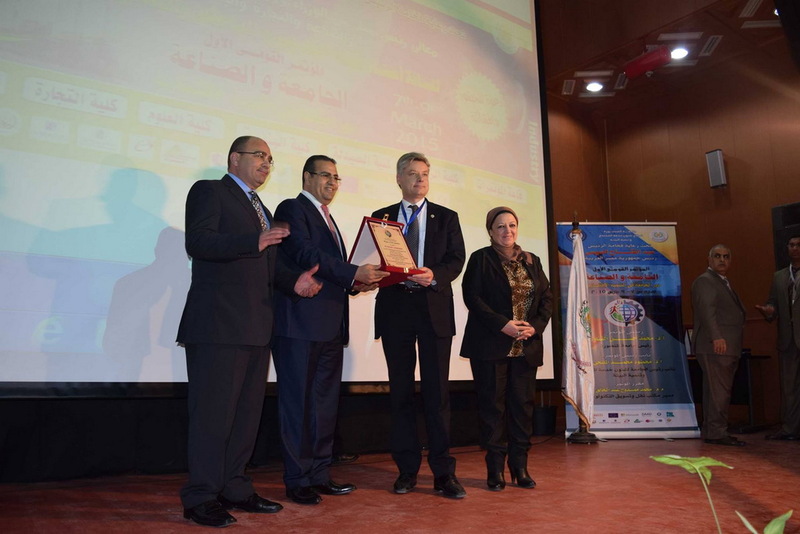 At the end of the opening ceremony, the Conference President and the Supervisor General dedicated the Conference Shield to the Minister of Higher Education and the heads of the conference sponsoring and organizing institutions.